Shoestring Elegance: What to do Weekends #147 ~ Albeit a bit late! That's about all this head of mine can manage today, so , I'm just going to provide the link and ask you to please join in the fun. I hope to be back Featuring your gorgeous work next week. God Bless and Happy November to you all! 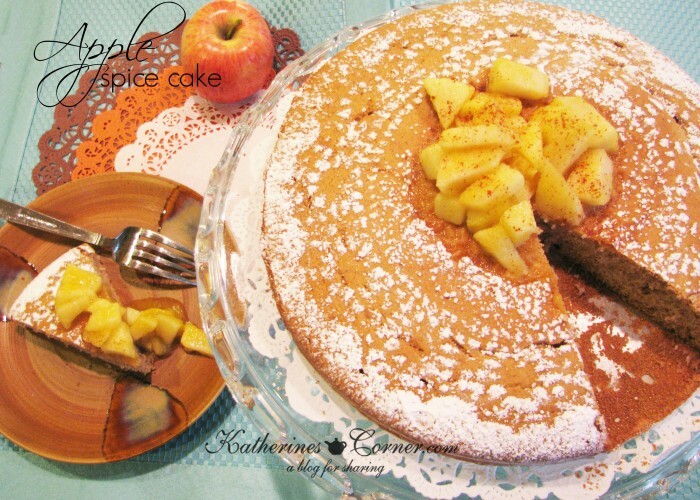 Do, take a look at Katherine's (of course from Katherine's Corner) gorgeous Apple Spice Cake before you go, and please try and take a minute to visit each other., We need to support one another, and lets face it, there are some awesome ideas and recipes linked up here! Feeling a teensie bit better this morning. Still not up to actually getting dressed and being human again! But, I though I'd pop back on to share a couple more Feature Favorites of mine from last weeks party. As stated above, Linda has done a wonderful job with many Features over on her Blog. There were just a few things that I, truly wanted to highlight from last week. The first one was something I think we all enjoy! 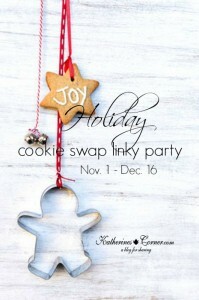 Katherine's Corner is hosting an Annual Holiday Cookie Swap Link Party! Great Recipes for all in one place, or you can go join in the fun with recipes of your own! And, if you haven't had a chance to see what Home on the Corner was able to do with an Upcycled Clementine Box, you are missing out! I loved this idea! Wonderful idea for families trying to keep the focus on the Family and not the price of things! Thanks Pamela for sharing this wonderful idea with us! Thanks for hosting one more week, Theresa! Hope you enjoy the weekend! Thank you so much, Pili! Hugs to you! Theresa, I so hope you feel better and get lots of rest over the weekend! Thanks to you and Linda for hosting! Thank you, Cindy! Me, too! Loading up on fluids, I should be good as new....soon, I hope! LOL Thanks for joining us! Hi Theresa, I hope you're continuing to feel better. Sorry to have been missing your party for the last few weeks. I'm happy to be jumping back in!